Why You Should Own An Electric Bicycle Right Now! Home/Electric Bikes/Why You Should Own An Electric Bicycle Right Now! Electric bikes are in vogue and its utility is similar to the conventional bicycle. It gets an extra aid from an electric motor to accelerate in its forward motion. Federal Law has fixed a limit on the category of its motor, which up to 750 watts of power and a speed contained within 20 miles per hour. Electric bikes commonly to adhere to the specification and there are brands that give higher speeds. The electric bicycles are in the market at cost ranging within $400 to $3500 dollars or kits costing within $500 to $800 dollars can make you one. 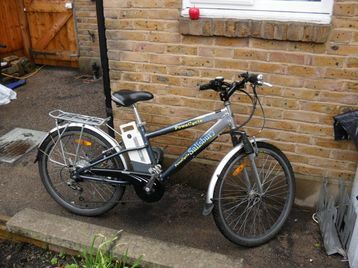 The quality of electric bike depends on the cost paid similar to any product purchases. The source of power in electric bicycles is from chargeable battery(s) and a single charge may take you for a ride of an average 20 miles. The mileage said are based on parameters like the heaviness of the bike, age /weight of the rider, wheel dimensions, the way of riding and the quality of surface of the road. Electric bikes variants and dimensions are many that start from tiny e-bikes that folds with 16 and 20-inch wheels designed for commuters and apartment dwellers to 28 inch and 700c sizes for others. The legal requirements for electric bicycles do not insist on licenses or insurance coverage but age restrictions are in practice in lot of states. All electric bikes in normal practice go for hub motor. They get fixed in the front wheel or alternatively in the rear wheel and get no support of chains, belts or gears. The motor takes the role of the hub of the fitted wheel, which have dual concentric rings of opposing electromagnets. The battery transfers the charge to the motor so that the wheel starts rotating with the help of the opposing magnetic force. The need for maintenance as well as noise from such motors is very absent. The wattage of the motor is the precursor of power for the motor and have a directly proportional relationship. As a buyer, here you have to be wary. The bench mark to quantify wattage are yet to come, so sellers of electric bikes project their crest output numbers as compared normal operating numbers. An example to it is that a 1000 watts crest output number may have just 500-watt motor in its normal operating output. So, strive to know the normal operating output, which are the only gauges that are worth to match with your other alternatives in hand. The batteries are vital in the case of such products. The amp hours (Ah) clocks the top and cost wise less in the case of the all normal sealed lead acid (SLA) battery. But, in the case of heaviness and life, SLA batteries are three times more and one third as compared to lithium battery. The cost wise, a Lithium LiFePO4 battery tops and the least ah, however, they rank high among its genre in terms of weight and life. The one equivalent of a 48 volt LiFePO4 battery will be 12 number of 12volt SLA batteries. As far as Nickel cadmium and other batteries are in the middle of the road state. The easiness of charging is much in lightweight lithium battery as it smoothly comes out the battery rack for easy recharge within the four walls. On the other hand in other batteries, you have to locate an outlet wherein to plug the whole bike. The ecological protection through lithium batteries are high as compared to all other batteries in the market. The cost and function of electric bikes made out of kits are better. The existing all bicycles run well as compared to the electric bikes. If you put strain in opting for a good kit, a better motor and a battery are the rewards out of it and a best electric bike better than factory make will be in your hand. The heaviness of such bike made out of kits are lighter too. The essential features in a good kit are motor pre fixed into a wheel (the installation part is simple for front wheel kit), two brake motor cutoff, a twist or thumb throttle, a motor controller, wiring harness, and a tamper proof battery mounting rack . A standard kit consists of diagrams on wiring, mounting hardware, wire ties and full instructions. The electric bicycles made from hi-fi factory appear like motorcycles and weigh high. The riding comfort is poor with tough pedaling as compared to the low-priced bike or bicycle made out of kit. They also have a good appearance. It is also advisable to buy kit from a dealer who can help you out in case of difficulties and snags, which usually happens rarely. If you plan to reassemble the existing bicycle, ensure that it is in a working condition. If the plan is to make a bike from a kit of 500 watts or more, it is advisable to take a bike with a steel front fork. The reason being the high power front wheel motors can pierce out or break the aluminum and suspension forks. Gearing in an electric bicycle are rarely done unless you intend it to use it for mountaineering. The option of six or seven gears are enough for street bikes. The choice of a factory built bike is ideal in the case of your whole control over the vehicle as well as find it easy to ride and make sure all the desired features are in it. Electric bike allows for pedaling with freedom of the motor. You can also pedal with the motor for extensively and use for workouts range. The noise generation is almost minimal, petrol cost and tune ups are not necessary. The emissions are not there and are freely allowed in zones where other motorized vehicles are stopped. An electric bike can be carried in any subway and bus systems, bike trails, and bicycle lanes. The storage of electric bicycles can be easy in the house as compared to the petrol based vehicles. All can ride can ride an electric bike and along with basic tool skills can make an electric bike conversion kit. There exist adult electric tricycles and conversion kits for adult tricycles well. These operate the similar way and can help provide best transportation options for the elderly and handicapped. Electric bicycles are the real green transportation. They can provide very real replacement to the automobile for short range use and help clear traffic congestion, air pollution, dependence on imported fossil fuels and give you a less exercise while going about your daily life. It won’t solve most of our problems but it’s a good beginning.